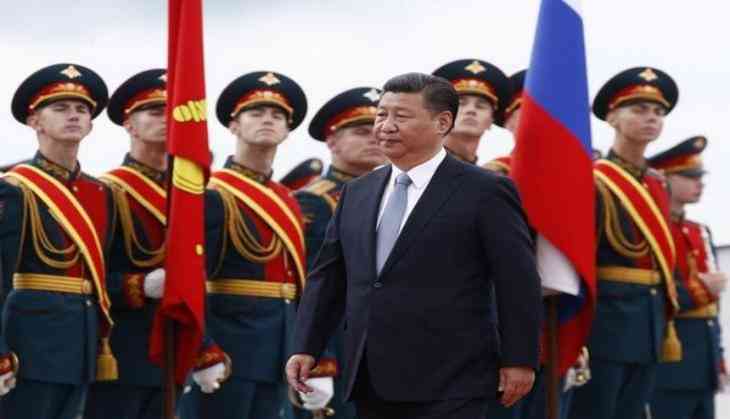 Chinese President Xi Jinping has arrived in Russia for an official visit at the invitation of his counterpart Vladimir Putin. This is Jinping's sixth visit to Moscow as head of state. Jinping, whose plane landed in Moscow's Vnukovo airport on Monday, met Russian Deputy Foreign Minister Igor Morgulov, Russian Ambassador to China Andrei Denisov and Chinese Ambassador to Russia Li Hui, reports TASS. On July 4, the Chinese President will hold talks with Putin, and will discuss issues related to comprehensive partnership and strategic cooperation between Russia and China and pressing international and regional issues. According to Russian Presidential Spokesman Dmitry Peskov, the two leaders will also meet with representatives of the Russian and Chinese public, business circles and media community. Later in the day, Jinping will meet Russian Prime Minister Dmitry Medvedev. During the top-level meeting it is planned to discuss bilateral cooperation in trade, investment, energy sector, industry, transport infrastructure and agriculture. China's Assistant Foreign Minister Li Huilai had said that contracts worth nearly USD 10 billion will to be signed during the visit.